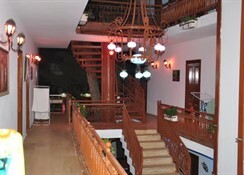 Welcome to Kaliptus Hotel in Kemer. 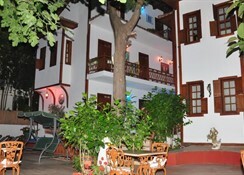 The hotel is located 400 m from the gravel and sandy beach. 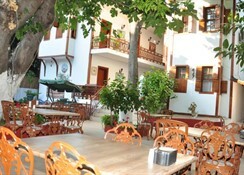 The closest cities to the hotel are Kiris (7 km), Goynuk (10 km) and Beldibi (20 km). To make your stay more comfortable air conditioning, a lobby and a reception are available. The staff in this hotel speaks English. A fresh water swimming pool with a separate children`s pool is available. 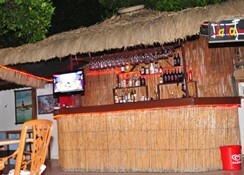 A poolside bar is on site at the hotel where guests can unwind with a drink. Sunshades and sunbeds are available free of charge at the pool. 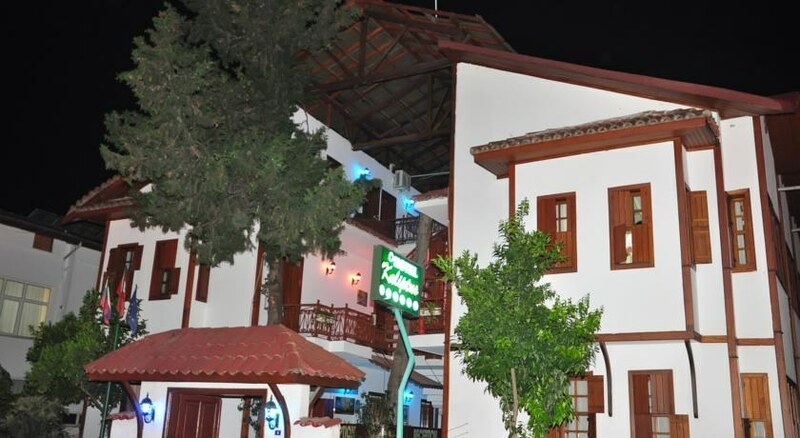 The hotel is within easy reach of city centre, shops, bars and restaurants and disco. Vehicles may be parked in the parking lot. Amenities: For convenience the hotel offers room service, maid service, currency exchange and medical care. Internet access is provided at wifi-hotspots. Reception hours: 24h Service. Meals: The breakfast type is Buffet and it is provided from 08:00 - 10:00. Additional Information: Payment facilities include Euro/Master Card and Visa Card. Additional fees may apply for certain facilities, amenities or activities.